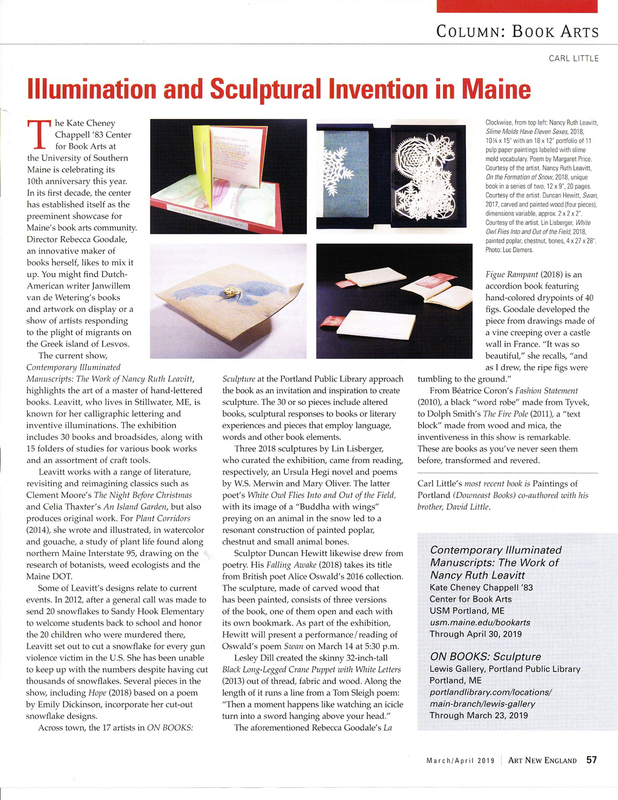 Illumination and Sculptural Invention in Maine, by Carl Little, Art New England, March/April 2019. The show art Portlnd Public Library addresses its subject in less obvios ways"
For the Portland Press Herald 'On Books!' Review Click Here.